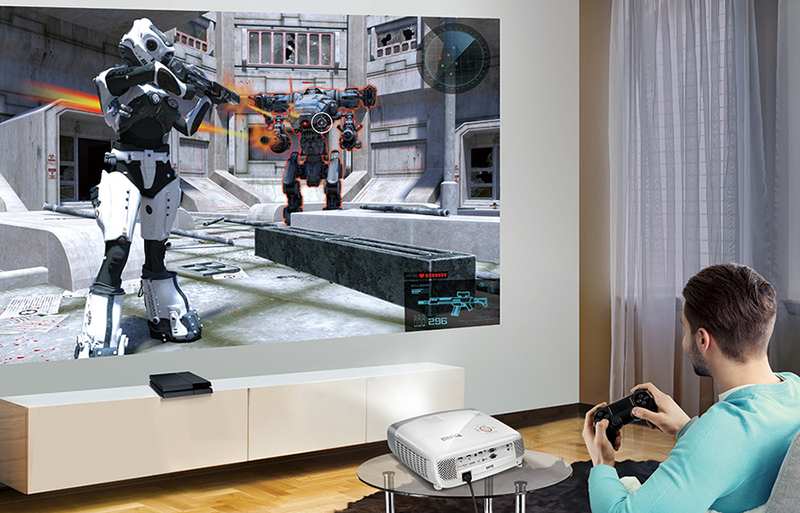 Now you can enjoy playing your favorite console games on the big screen, right in the comfort of your home. Whether it’s playing Halo on the Xbox One or Overwatch™ on PS4™, BenQ HT2150ST gives you the opportunity for an all-immersive gaming experience. HT2150ST low input lag ensures a great responsiveness so you can take the initiative to action. 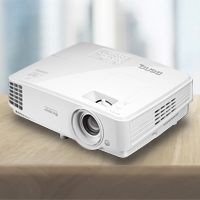 Short-throw technology and 1.2 big zoom allow the projector to be positioned in small spaces with hassle free installation. Savor an all-immersive cinematic experience with breathtaking Full HD 1080p visuals while 6X RGBRGB color wheel delivers lifelike colors for a superb viewing performance. 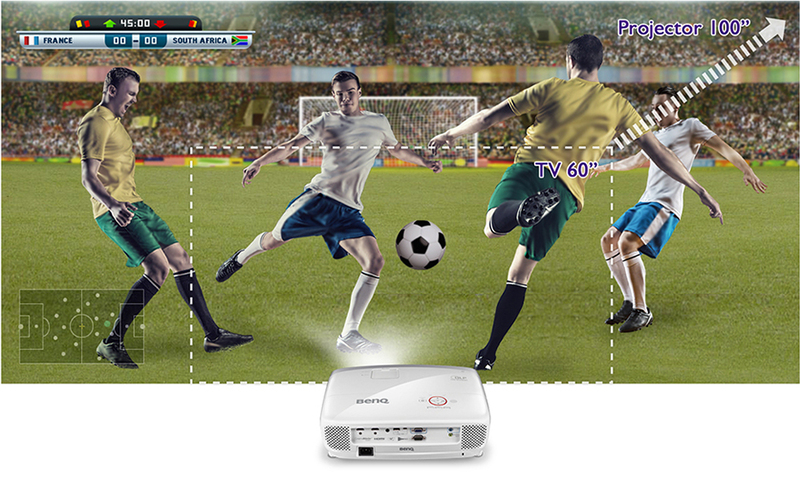 Maximize thrills in minimum space with BenQ home projectors that require as little as 1.5m to project stunning 100” pictures. Bring big-screen theater entertainment into whichever room you like. Responsiveness is the most crucial thing which the gamers care about. HT2150ST’s microsecond DMD response time delivers smooth and quick visuals without motion blur, whether you’re playing on the Xbox One, PS4™ or Wii U™. The HT2150ST also has one of the lowest input lag on the market so that you can swiftly reaction to every attack without delay. Time to say goodbye to gaming on a TV. BenQ HT2150ST takes your gameplay to an all new level as it projects at a wide viewing angle, allowing you to see twice as much action in the enlarged field of view of 36-70 degrees than the TV screen offers. 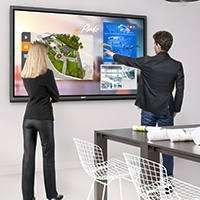 The widened and expansive screen image brings you lifesized viewing and an all-immersive experience. No matter where you choose to play your console game, the HT2150ST is designed with two modes to accommodate any environment. Game Mode brings out the hidden details in the darkest shadows and brightest highlights if you are in a dark room while Game (Bright) Mode gives you an uncompromised gaming experience without loss of image details despite a well-lit environment. With 20-watt speaker housed in resonant sound chambers plus BenQ Audio Enhancer powered by MaxxAudio, sounds boom with Waves’ breakthrough algorithms used by Hollywood studios, dramatically boosting bass and treble giving you serious stereo sound. 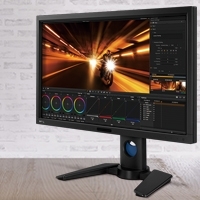 With the Imaging Science Foundation’s highly reputed ISFccc® calibration built-in, the HT2150ST’s image and color performance can be customized for any space, along with preset light balance modes for day and night. The beautifully sculpted, the HT2150ST projector features an all-new intuitive user interface with inputs that react faster than ever. First-time setup with this home projector is such a breeze, you’ll be done before you know it. 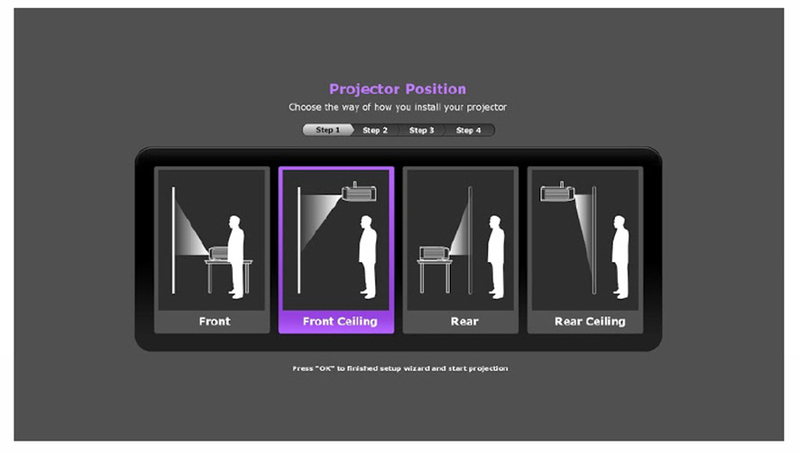 Simply follow the step-by-step pictures provided by the setup wizard, and the HT2150ST will be perfectly customized. Environmental Notice‎ Lamp in this product contains mercury. To dispose of the product or used lamps, consult your local environment authorities for regulations.